Three colleges dropped from Ofsted ‘good’ to ‘requires improvement’ this week, in a bad week for FE. The only silver lining was for Abingdon and Witney College, which maintained its grade two rating. Southampton City College lost its ‘good’ rating following an inspection report published May 9 and is now deemed to ‘require improvement’, after being hit with grade threes in all categories. Leaders and managers at the college were criticised for not being “successful” in improving the quality of teaching, learning and assessment to “ensure that it is at least good”. Inspectors also found that too few employers are “adequately involved in planning the training of their apprentices”, while too many teachers have “insufficiently high” expectations of their students in lessons, and “do not ensure that students make the best possible progress”. However college leaders and governors were praised for halting the “financial decline and stabilised the financial position of the college”. In the north of England, Wakefield College also dropped to a grade three from its previous ‘good’ rating, in an inspection report published May 9. The nearly 6,750-learner college was graded ‘requires improvement’ in all but one category – provision for learners with high needs, which was deemed ‘good’. Its report said students’ attendance and achievements are “too low”. “Too few students achieve the grades and develop the higher level skills of which they are capable,” inspectors added. Governors and senior leaders were slammed for not using “management information well enough to evaluate the impact of managers’ actions during the year”. The report added they do not have a “clear view of the quality of provision and the progress that students make”. Meanwhile, management of quality improvement at St Mary’s College in Lancashire was found to be “not rigorous enough to bring about the necessary improvements” as the sixth form college dropped to a grade three from ‘good’ in an Ofsted report published May 5. Inspectors additionally said that performance management is “not sufficiently robust” and as a result managers and teachers are “not given specific enough targets to be able to hold them to account for the performance of their students”. “In most subjects, too many students do not make the progress and achieve the grades of which they are capable,” the report added. However, a newly formed senior leadership team has started to “refocus diligently on improving students’ outcomes” at the 1,000-learner college. The “large majority” of students also pass their qualifications and successfully progress to higher education, further learning or apprenticeships. Leaders at Abingdon and Witney College will be the only FE provider celebrating a full Ofsted inspection this week after it maintained its ‘good’ rating. Inspectors gave the college ‘good’ in all categories except for apprenticeships, where an ‘outstanding’ judgement was achieved. Ofsted said apprentices make “significant and sustained progress from their starting points”, and the “vast majority” of apprentices achieve their qualifications. Teachers also receive “excellent support” to improve the quality of teaching, learning and assessment, and managers “ensure that learners with high needs follow highly individualised learning programmes that meet their needs and develop their independence”. 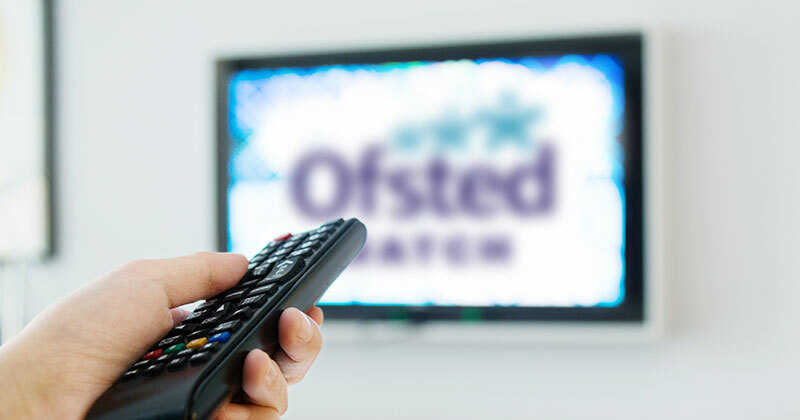 To get to ‘outstanding’ Ofsted said leaders and managers must ensure that all adult learners have a “good understanding of how to keep themselves safe from the risks posed by radicalisation and extremism”. Adult and community learning provider The Learning Partnership – Bedfordshire and Luton Limited, employer provider Voyage Group Limited, and private provider The Bassetlaw Training Agency Limited all kept their ‘good’ ratings following short inspections.